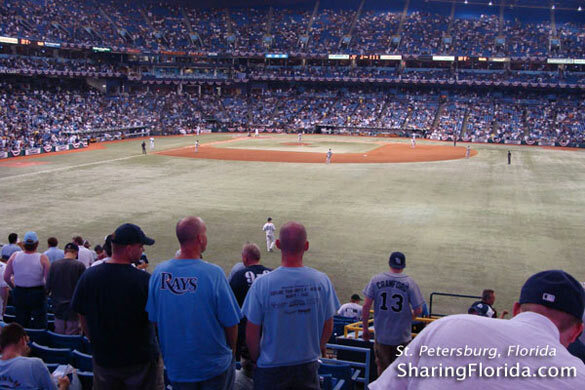 This is a simple background made from a photo of Tropicana Field in St. Petersburg, Florida. This is where the Tampa Rays play baseball in Florida. 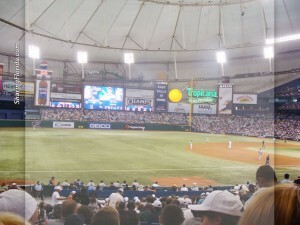 Shows the stadium logo, palm trees and Rays players.